On Thursday’s Mark Levin Show, Rich Zeoli from WPHT fills in. 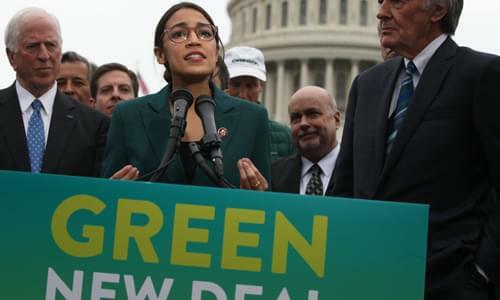 The green new deal is a progressive prescription for utopianism. This weird marriage of climate change and social justice is a blue print that will cost us everything we have. The left loves this concept of economic justice, but it doesn’t mean opportunity to earn, it means that the government will guarantee that all people earn the same amount of income. Then, media icon, Sam Donaldson, admitted that the U.S is already a socialist country and that socialism will make us a better country. At least he’s not hiding it. The elitism of leftists in the media is exactly what will re-elect President Trump. Later, #MeToo seems to only apply if you’re not a Democrat since the media is giving a pass to the accused Lt Governor of Virginia Justin Fairfax. Later, Democrats once had pro-life politicians in their party. But they’ve gone so far to the left that the debate isn’t over to abort or not, it’s over whether it’s when the baby is in the womb in the ninth month or after the child is born.